Not for sale in Qld due to weed potential. For sale are 10 freshly picked seeds with instructions. The curry leaf tree provides a wonderfully fragrant edible addition to curries, soups, dhal and chutney. It is also a fast growing hardy and beautiful hedge, screen or pot plant, with fragrant flowers and leaves. An attractive upright branching tree growing to 6m tall in warmer climates, but best kept pruned to less than 2m tall, and we recommend keeping in pots (especially in northern NSW). The plants we sell are seedling grown, producing a plant that suckers less vigorously than a suckerling-grown plant. 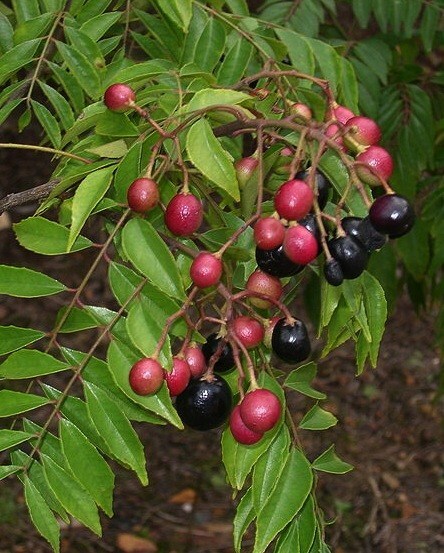 Previously known as Murraya koenigii, it�s had a recent name change to Bergera koenigii. Rust. Remove fallen leaves and burn or dispose of in garbage.